Cream of Tartar Substitute – What to Use ? Just about to make a delicious meringue or baking a cake for a loved one or celebration and suddenly realized you are all out of cream of tartar ? Worry not, there are a number of options you can use as a cream of tartar substitute. What is Cream of Tartar ? When substituting cream of tartar, it can help to understand what cream of tartar is used for so that you can better understand why certain substitutes work. Contrary to the name, cream of tartar isn’t a cream at all. Rather, cream of tartar is a powdery substance used primarily for three different reasons. Cream of tartar is most often used as a stabilizing agent for whipped egg whites, allowing the egg whites to stay firm and your meringues or soufflés to better hold their shape. Cream of tartar is also used for baking as a leavening agent that ultimately creates fluffier goods. Thirdly, this is used to prevent sugar from crystallizing in icings, frosting, and syrups, creating a much creamier end result. Thankfully, there are a handful of different items that can be used to achieve the same results. It’s all about those high peaks. Lemon juice both stabilizes egg whites and prevents sugar crystallization, making it an excellent substitute for a number of recipes. Lemon juice is acidic, as is the cream of tartar, and stiffens the egg whites to achieve those high peaks in your meringue recipe. It may also provide a nice lemon flavor. ​In the same line as lemon juice, white vinegar provides the acidity needed to stabilize your egg whites but may not be a great alternative for baking. To avoid altering the flavor or the texture in your baked goods, white vinegar should only be used in the egg white scenario and the amount of vinegar should equal that of the cream of tartar as well. ​Baking powder is essentially a combination of baking soda and cream of tartar, meaning that it’s kind of the perfect substitute. Keep in mind, however, that you should also be substituting for the baking soda as well. 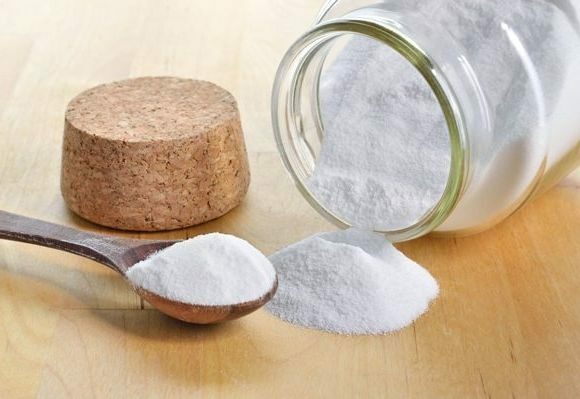 If your recipe calls for baking soda and cream of tartar, you can eliminate both of them with baking powder. Generally speaking, you should use one teaspoon of baking powder to cover 1/3 teaspoon of baking soda and 2/3 teaspoon of cream of tartar. ​Buttermilk is another common acidic substitute that is primarily used in baking recipes. While it works especially well in these cases, be sure to remove a liquid ingredient from the recipe to accommodate the buttermilk. Otherwise, you would overload the recipe with liquid and it would be too watery to work. The general guideline is to substitute 1/4 teaspoon of cream of tartar with 1/2 cup of buttermilk, also removing 1/2 cup of another liquid. ​On a similar note, yogurt can be used in the same way as buttermilk, though you should first thin it out with a little bit of plain milk. Be careful if you only have some kind of fruit flavored yogurt available. It is best to always use plain yogurt if you can. A flavored yogurt may end up changing the final flavor of your dish if used as a cream of tartar replacement. With the exception of baked goods, cream of tartar is one of those things that you can usually get away with omitting entirely. If you have neither cream of tartar nor any of the above ingredients, it’s usually okay to leave it out without seeing dramatic differences in the end product.